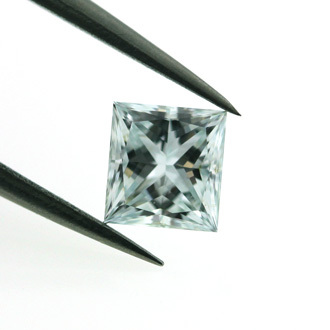 This fancy light bluish green diamond is what fancy colored diamonds are all about. Blue diamonds are rare, green diamonds are rare - needless to say that the combination of the two is rare. This diamond is a princess cut which is the shape with most amazing brilliance, has a good clarity grading of SI1 and a GIA certificate to authenticate the findings.